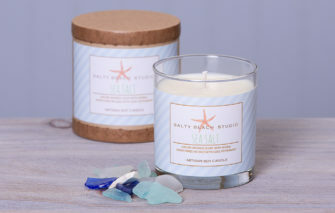 Salty Beach Studio’s small-batch, hand-poured candles are inspired by living on the coast of Maine. 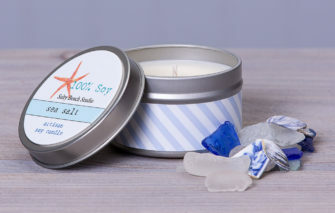 Their candles are made from 100% soy wax with no blends, additives, or artificial dyes. 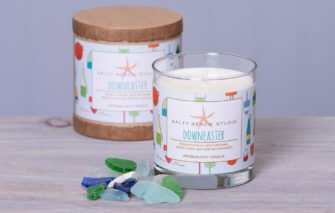 Their candle scents are fresh, clean, and never overpowering. 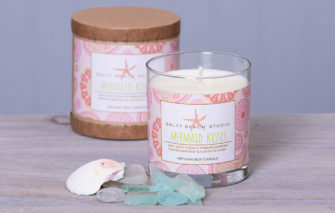 And if that’s not enough reason to love their soy candles, each one is a colorful piece of home décor!